Alejandro Valverde won the Tour of the Basque Country for the first time after coming in second to winner Primož Roglič on Saturday. 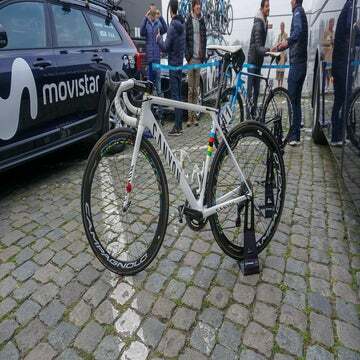 MADRID (AFP) – Veteran Spanish rider Alejandro Valverde (Movistar) won the Tour of the Basque Country for the first time after coming in second to winner Primož Roglič (LottoNL-Jumbo) in Saturday’s sixth and final stage, an individual time trial in Eibar. The 27-year-old Slovenian, who garnered worldwide attention with his stage 9 time trial win at last year’s Giro d’Italia, won the 27.7km time trial in a time of 35 minutes 58 seconds – 9 seconds over the previous stage winner and overall winner Valverde and 15 seconds over Jon Izaguirre (Bahrain-Merida). It was the second stage win for Roglič during the race after he bested the field with a sneak attack in the closing kilometers of stage 4. “It was a difficult time trial, but everything went as I wanted,” Roglic said. “I won twice this week and I finished fifth in the standings. Five riders were tied on time heading into the final day of racing, however it was Valverde who was able to retain the overall lead and top the final general classification 17 seconds ahead of rival countryman Alberto Contador (Trek-Segafredo). 🏆Valverde @Movistar_Team winner of the Tour of The Basque Country. “Man, it was hard! I really wanted to win this Itzulia,” said Valverde after the race. “I have been on the verge of success so many years, always came close without a win – fortunately, it seems like I’m on a good streak this season, and claiming overall honours at last makes for a very special success. The win gives the 36-year-old Spaniard 106th pro win and his fourth win on home soil this season, including his third stage race victory behind triumphs at Catalunya and Ruta del Sol. “I’m even more surprised than anyone about how things are going for me this season,” he admitted. “Every single year, at this point of the season, I yell it’s my best start ever. But this time, you can’t have any doubt – it’s the best one.